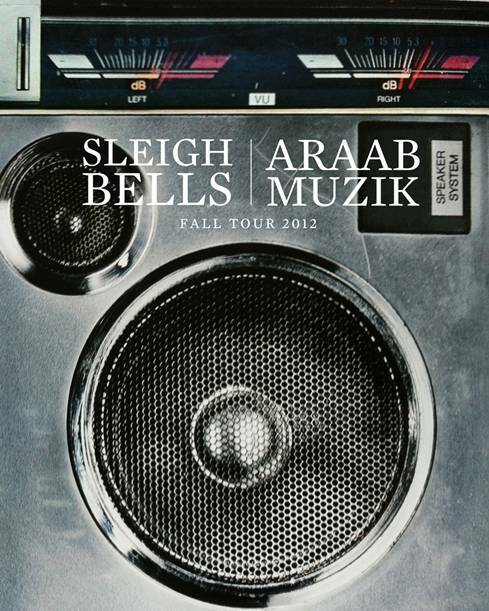 Following a pretty successful start to the year following the release of their album Reign of Terror, Sleigh Bells have announced another tour, this time they'll take along AraabMuzik for the ride. The band also have a few dates later in August with Refused. Make the jump to check out all of the dates which start in LA next month, and take them through to November in Minneapolis. If you're eager you can purchase pre-sale tickets over here. In addition, the duo is playing select dates alongside Refused this month and will be making stops at FYF, Pygmalion, and Midpoint Festival this September. See full list of dates below. [Listen] ABADABAD - "All The Bros Say"